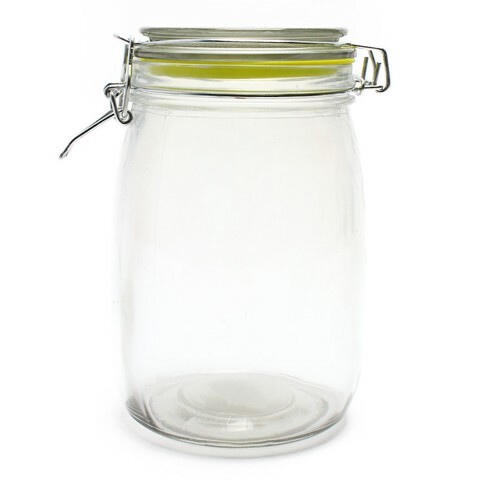 Glass Storage Jar Clip-Lid 800Ml. 14 x 11 x 11cm. Rim Colours Are: Red l Green l Blue. Glass Lid | Clip Top | Silicon Ring . 0 Packaging: Barcode l 6 Pcs Per SRT.